The Centennial dam project, proposed by the Nevada Irrigation District, is intended to capture rainfall at lower elevations to make up for declining snowpack at higher elevations. 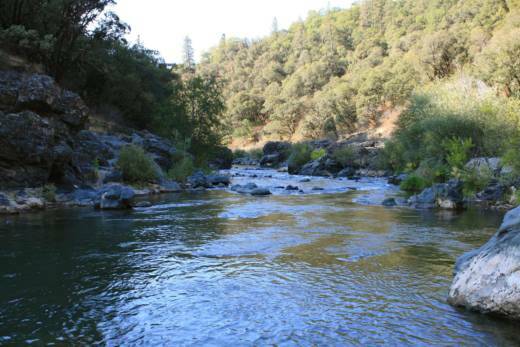 It would be built at an elevation of about 2,000 feet between two existing reservoirs on the Bear River—Rollins and Combie—in a region of the Sierra Nevada where winter rainfall can be prolific but snowfall is light. 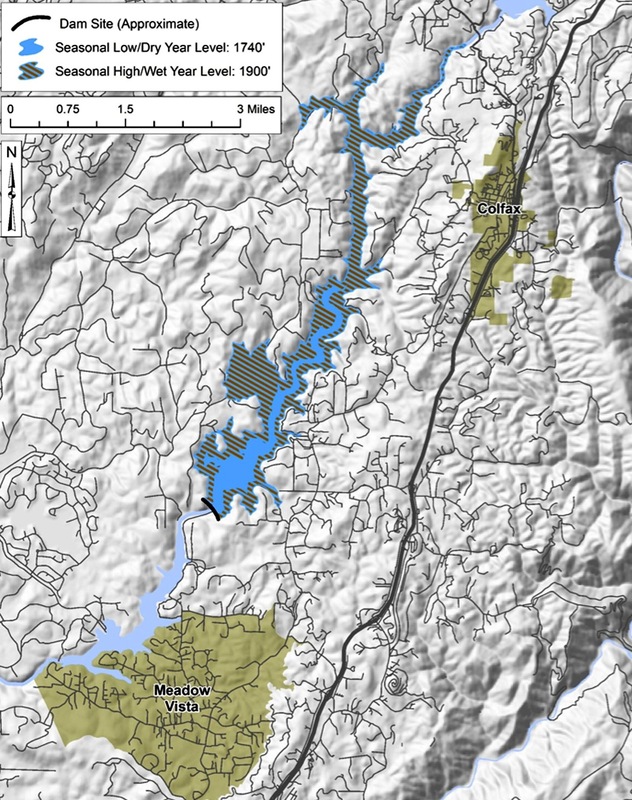 A map of the proposed Centennial Reservoir site near Meadow Vista, Calif. The Nevada Irrigation District that year was forced to buy water from Pacific Gas & Electric Co. out of Rollins Reservoir to serve its customers. That emergency supply—16,000 acre-feet (19.7 million cubic meters) – cost $1 million and might not be available next time. The Nevada Irrigation District conceived Centennial Dam in 1927, and water rights for the project have been held 'in trust' ever since. The district hopes to release a draft environmental impact report on the project in 2017 and start construction for the district’s 100th anniversary in 2021—hence the “centennial” name.